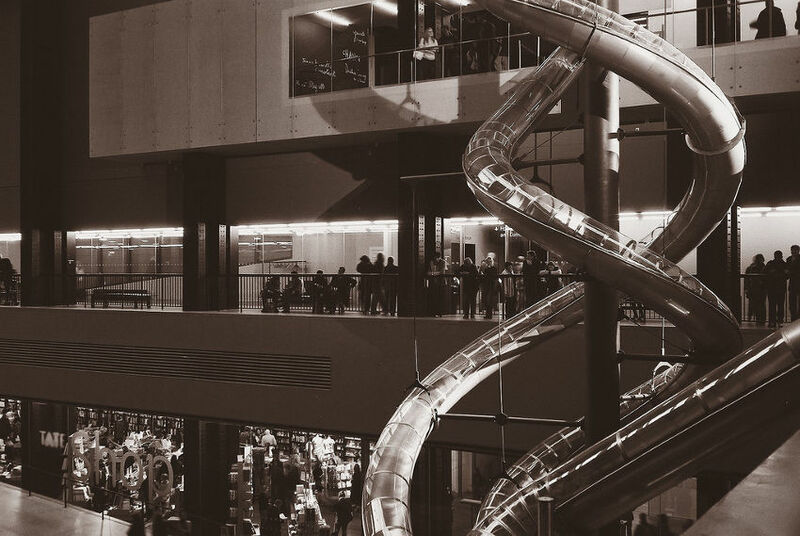 Best known for his large-scale installations, Carsten Höller is a Belgian contemporary artist who creates works and situations that question human behavior, logic, and familiar forms of perception. Using his training as a scientist, the artist’s works reminiscent scientific laboratory arrangements in their form. All those who observe his “influential environments” are invited to actively participate and experiment on themselves. Often associated with Relational Aesthetics, Höller has become quite known and famous for his sensory environments that disrupt prescribed human behavior by twisting perception and eliciting spontaneous reactions of confusion. The term was defined by Nicolas Bourriaud as a “set of artistic practices which take as their theoretical and practical point of departure the whole of human relations and their social context, rather than an independent and private space”, and since Höller’s artistic practice tends to erase the boundaries between the work of art and the spectators, he fits perfectly. Born to German parents working for the EEC, Carsten Höller grew up in Brussels. He holds a doctorate in agricultural science, specializing in the area of insects’ olfactory communication strategies, from the University of Kiel – the title of his dissertation is “Efficiency Analysis of the Parasitoids of Cereal Aphids”. Höller made his first creations in the world of art during the late 80s, but he continued working as a research entomologist for several more years. Having realized that the scientific method was not explaining the world as much as he wanted it to, and, as he admits, “…I came to believe that the assumptions I made in art were more honest…”, he finally gave up on science in 1993, becoming a full-time artist. 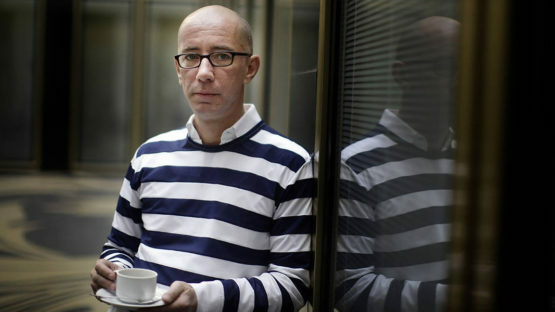 A year later, a friend gave him a book, changing Höller’s life. The book was by R Gordon Wasson, a former employee of JP Morgan investment bank, who devoted 25 years of his life from the 1950s to the study of the hallucinogenic properties of mushrooms and their anthropological history. One part of the artist’s oeuvre, ever since, has been an experimental kind of artistic homage to that theory. Having never been to art school, Höller realized the only option is to do it on his own, though he has never been “a big druggie”. There’s where his background in science really kicked in – because he worked in biochemistry, he could order anything he wanted for testing. From Ketamine to mushrooms, he experimented with the altering of everyday drugs-free experiences. Over the years, the artist has employed flashing lights, above-mentioned psychotropic drugs, and various other stimuli to potentially alter the mental state of his viewers. For example, his Giant Psycho Tank (1999) invites viewers to float weightlessly in the water of a sensory deprivation pool, providing a tenebrous, out-of-body experience. In his explorations of important themes such as architecture, childhood, love, happiness, hallucination, and the future, Höller has created the world that is equal parts laboratory and fun house. With scientific background, his work often takes the form of experiments designed to test the limits of human sensorial experience through carefully controlled situations. Taken as a whole, Höller’s work is an invitation to re-imagine the way in which we move through the world and the relationships we build as he asks us to reconsider what we think we know about ourselves. 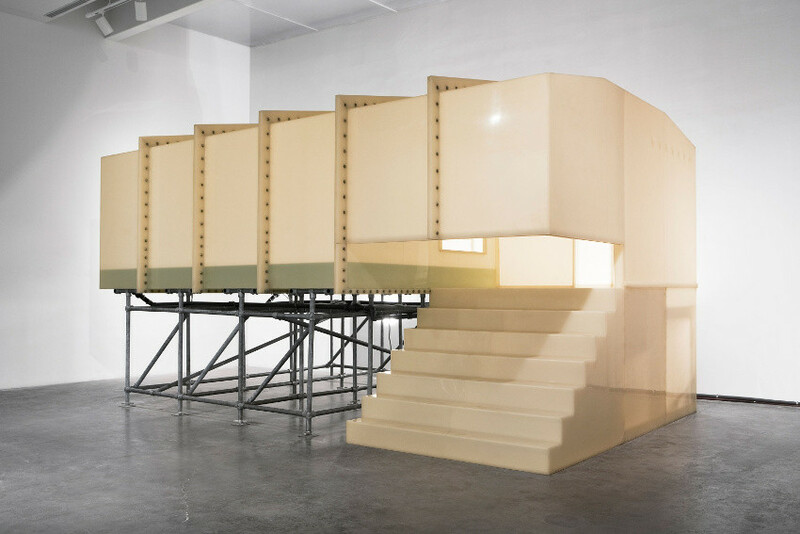 Höller’s interest in slide works dates back to 1998, with Valerio I and Valerio II being some of the earliest pieces – they were installed at Kunst-Werke in Berlin in 1998 and 1999. Having described his slides as sculptural works with a pragmatic aspect, the artist explains further: “From an architectural and practical perspective, the slides are one of the building’s means of transporting people, equivalent to the escalators, elevators or stairs. Slides deliver people quickly, safely and elegantly to their destinations, they’re inexpensive to construct and energy-efficient. They’re also a device for experiencing an emotional state that is a unique condition somewhere between delight and madness.” The slides require participation from the viewers – they have the ability to test the functions of differently shaped slides, mainly to see how they are affected by them, to test what it really means to slide. Both those who choose to actively engage, and those who remain to watch them, discover what really means to slide. People coming down the slides have a particular expression on their faces – they have indeed become the participants, but they are also observers of the inner spectacle that is happening within them, emerging affected by the experience and somewhat changed. Besides Slides, Höller has created a number of quite memorable works over the years. The Mushrooms are one of those, becoming a regular feature of his work from 1994. 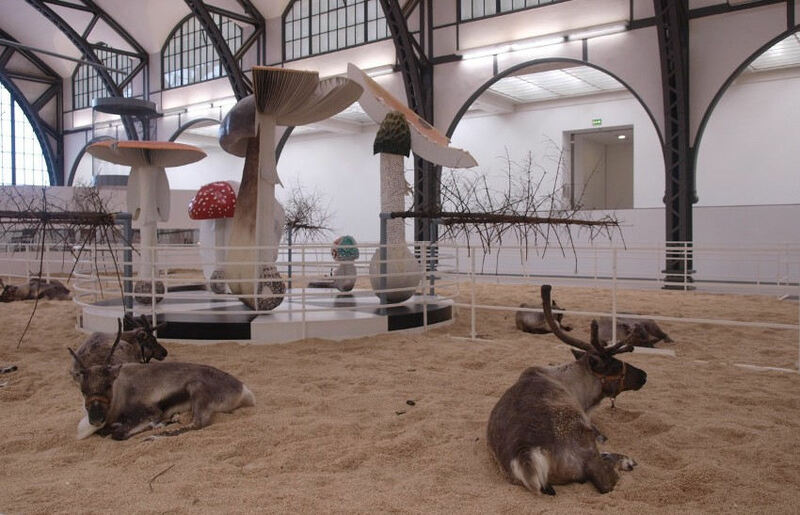 Animals have figured largely in the artist’s work, most prominently at his exhibition Soma at the Hamburger Bahnhof, where two herds of reindeer were housed in the large main exhibition hall, along with canaries, mice, and flies. One of the several collaborations with Rosemarie Trockel, the project House for Pigs and People was realized for Documenta X in Kassel in 1997. Another collaboration, this time with Fondazione Prada, the Double Club was a project in the form of a bar, restaurant and nightclub installed in a warehouse in Islington, London. Höller’s carousels and amusement park works are some of his most well-known projects. Dating back to 1998, the key feature of his carousels are that they are modified in some way than what we expect from an amusement park ride, either most often through speed, or sometimes rotational direction, or surface material. Whatever Höller creates and exhibits, it seems as the customary “look but don’t touch” etiquette for art exhibitions is being torn up by his clever intentions and precise executions. He is represented by vogelARTedition. Carsten Höller lives and works between Stockholm, Sweden, and Biriwa, Ghana.